Sessions are 90 minutes long, and typically you will have 3 or 4 sessions. Norfolk Sands is a voluntary group of parents who have all experienced the death of a baby either in pregnancy, during or soon after birth. Our aim is to offer support, understanding, comfort and most importantly, a listening ear. We are able to offer support via email, social media and telephone or you are very welcome to come to our support meetings. 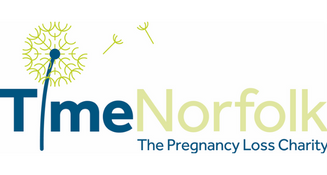 TimeNorfolk provides free confidential help and support to anyone who has experienced Pregnancy Loss through Miscarriage, Termination or Stillbirth.